When it comes to getting students to love learning, particularly a content area that they are not interested in or lack confidence, the best place to begin is to think about what motivates and engages your students. Although this can differ slightly from year to year, many strategies to motivate students remain the same: encouraging a positive attitude, engage students in cooperative group or partner work, and assign meaningful activities and tasks. 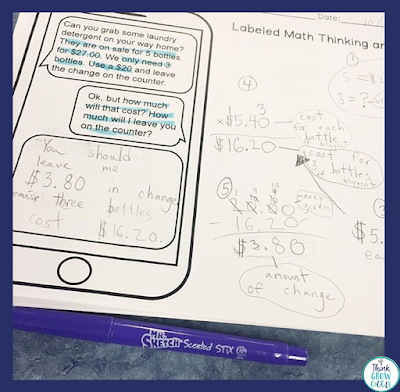 When these strategies are coupled with appropriate scaffolding and teacher communication, students’ interest in math and perception about themselves as math students changes, and changes greatly! Turn your students’ dislike for challenging problem solving activities into excitement and eagerness to complete the task at hand with these tried and true tips and strategies. overwhelming when faced with a problem with large numbers, many different skills, and overly wordy. To counter the fear and stress that students face, spend time fostering positivity and a growth mindset in your classroom. A simple discussion about persevering and trying hard goes a long way. 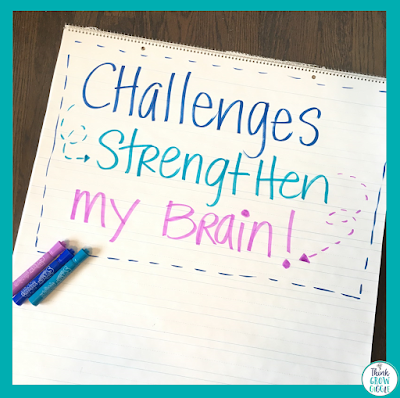 Remind students that by working on difficult math problems they are actually growing and stretching their brains. This type of mind shift doesn’t happen overnight. Develop a classroom mantra to encourage grit and a growth mindset with your students. By creating a class math mantra with your students, you increase student buy in. Do not just create one and then tell students to say it. Make sure to work together to make a meaningful mantra for your classroom community. 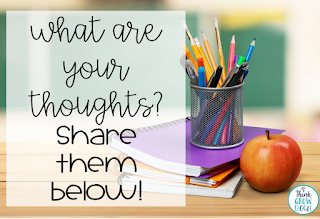 Read more classroom community ideas here. Post your math mantra all over your classroom and include it during your math lessons. You might begin each lesson with the class chanting it to engage them right from the start of each lesson. Be sure to post it in a visible place, so that each day and lesson begins with a positive attitude! Teach more than one section of math? Create individual math mantras for each class and create a wall of math mantras in your classroom! Research shows that when students work with other students, in partnership activities and group work, their engagement skyrockets. “Collaborative learning has been shown to result in higher student achievement, higher self-esteem, and higher motivation.” (David W. Johnson, Roget T. Johnson, 2009) I have found this to be especially true during math problem solving tasks. Math, specifically multiple step problem solving tasks, must be discussed over and over before it is fully digested and comprehended. When students work together, they are given the opportunity and time to discuss the problem, and then plan how to solve it. Working together helps students check and fix their work and helps to build confidence in both their skill work and problem solving strategies. No student wants to make a mistake in front of their peers. When working with another student or a small group, students feel safe and more willing to take risks, try more complex tasks, and show their work while explaining the steps that they have taken. See it in action with this idea: present students with a multi-step word problem to complete on their own. Then ask them to complete the same problem with a partner. Watch as their engagement and completion of task increases along with student success. Teacher Tip: Make the most of group problem solving tasks by setting time at the beginning of the year to discuss what math discussions sound like. 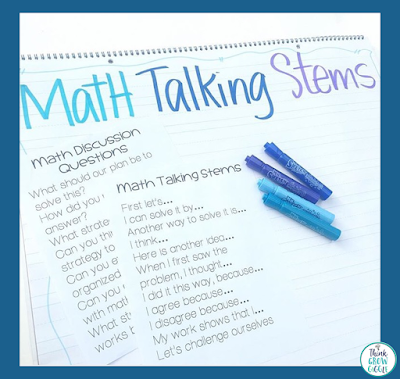 Encourage meaningful math discourse with math discussion stems and questions. Grab a set for FREE at the bottom of this post. When it comes to math, nothing is more powerful than by presenting students with meaningful and authentic real world tasks. Tasks that students can relate to and make connections with, will increase engagement, time on task, and small group math discourse. Think about what interests your specific cohort of students. Are they interested in gaming? Sports? Baking? Outdoor adventure? Once you know what will grab their attention create problems and tasks centered on their interests. Meaningful real life complex tasks that offer an open ended approach to solving, will increase student time on task and perseverance as students no longer see a right and wrong way to solve the problem, but rather many different ways to work together, brainstorm, and solve the problem. See an example of a complex, real world open ended problem solving task that I have my students complete HERE and HERE. Don’t forget that students LOVE technology! Integrate their love and knowledge by completing problem solving on websites like Thinking Blocks or by creating multiple step problem solving activities in the form of a text. Grab a FREE sample at the bottom of this post. Teacher Tip: No time to create your own interest specific math problems? Challenge your students to come up with word problem ideas, topics, or tasks and submit them to you! Use those problems in small groups so students do not solve their own, but instead a classmates’ problem. Students LOVE to have other students solve their problems. with a partner to complete the sticky notes for the first few boxes only, so that the students do not actually solve the problem. 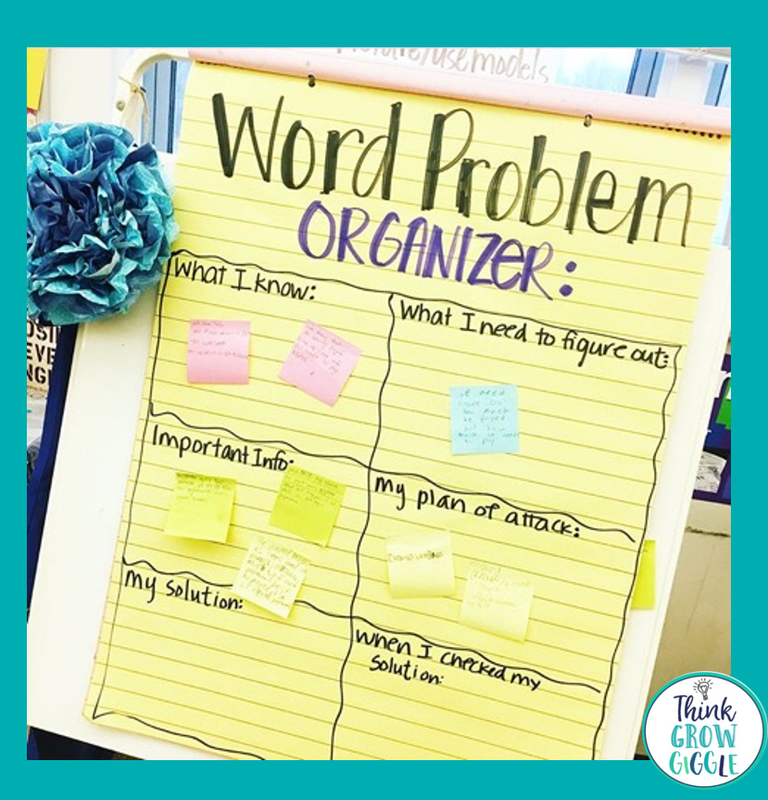 This allows time for students to build confidence in their understanding of word problems and how they plan to solve them, rather than trying to manage the organizer AND solve the problem. This also allows time for you to discuss all the pre-solving strategies with the students. The following week have students work with a math partner, or in small groups, to use the organizer to problem solve. The scaffolding that you provided and the time devoted to teaching and practicing the use of the graphic organizer will build students’ perseverance skills and lessen the fear of solving math word problems. 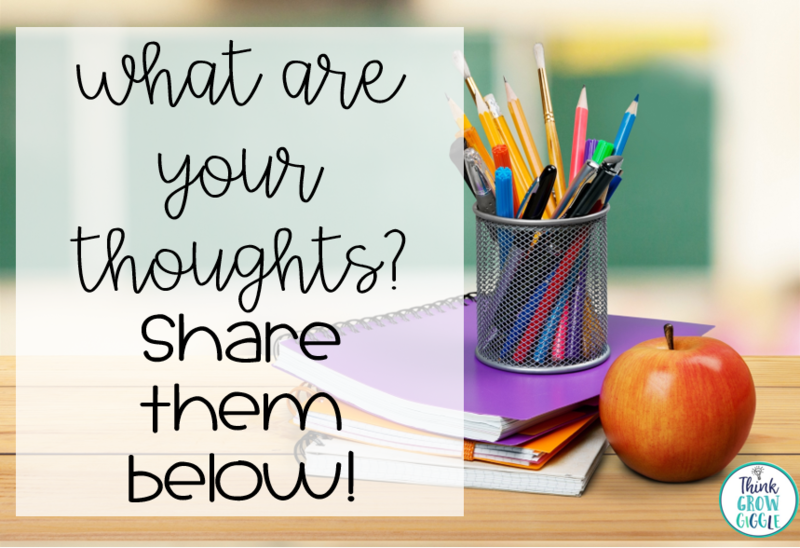 Send the graphic organizer home with students to help them complete homework, too! Grab this math graphic organizer to help you scaffold math problem solving in your classroom for FREE HERE. Teacher Tip: Switch up math partners and groups often when scaffolding. This will ensure that students do not rely on other students to complete the organizer. There is nothing more important to increase student confidence, success, and perseverance than by communicating with them what they are doing well and how they can grow. Students need to hear about both their successes and areas of growth so that their work is validated AND so that they have clear direction and focus of what they need to work on next. Write on their work, hold formal student conferences, or simply kneel beside them as they work to chat about what they are doing. Whatever strategy you choose to communicate, be sure to communicate with them individually, so that there is no doubt that they are the focus of your discussion and not their math partner. Be sure to use the word goal when discussing an area that students can improve. By using the term, “a goal I would like to see you reach," makes what you want to see students do become real and attainable for them. Try writing the goal you have for the student on a sticky note and place it into their math notebook or workbook. This will serve as a reminder of what they are working towards for both you and the student. Teacher Tip: Communicate every small success with your students! 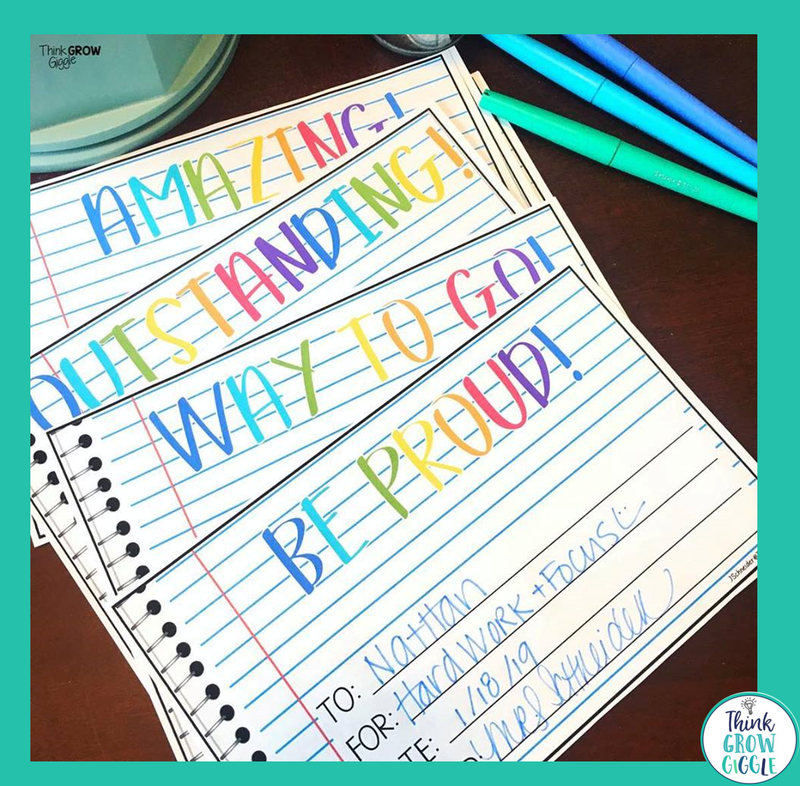 Students love to be celebrated! When you celebrate any small milestone, students are more likely to repeat that act. 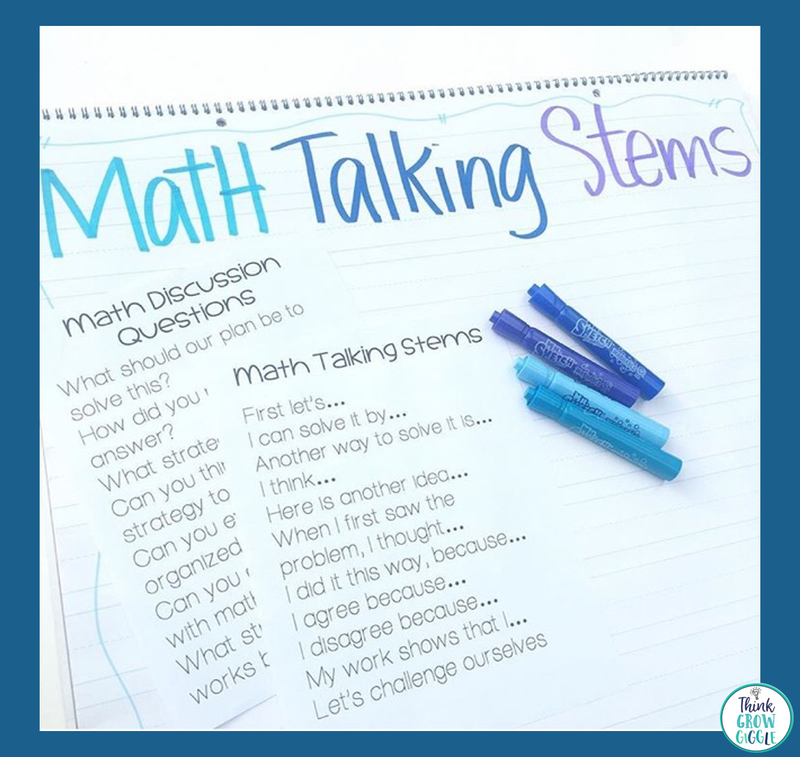 You can celebrate students completing the math graphic organizer correctly, using math talking stems appropriately, and increasing their participation in math. Grab these student awards for FREE HERE. Just like building any kind of relationship, your students' relationship with math problem solving needs time, nurturing, and commitment. Don't give up on students right away. 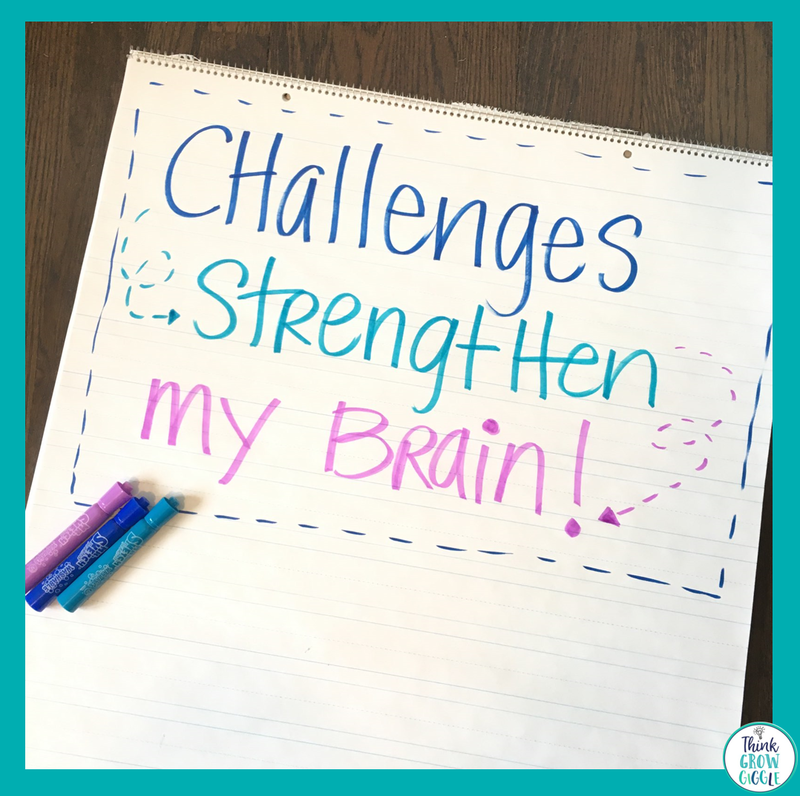 Allow many opportunities to practice these strategies and before long, students will develop a LOVE of math problem problem solving! 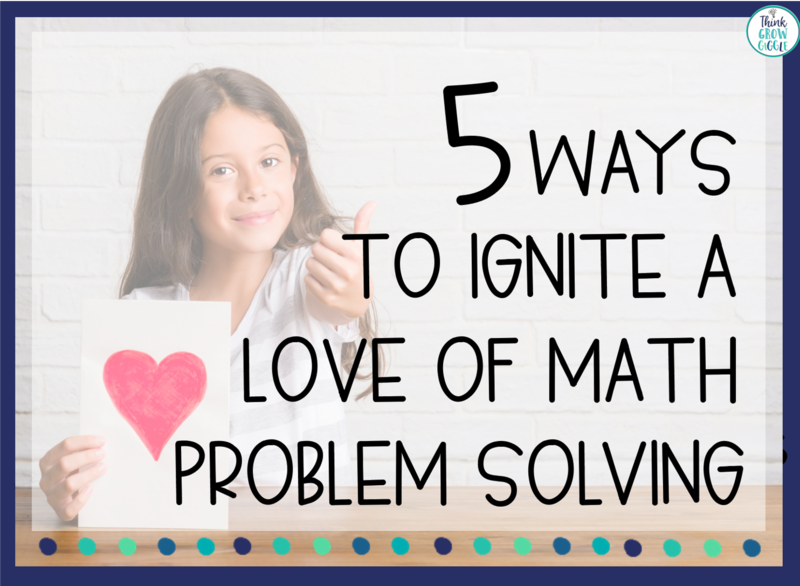 How do you encourage students to love math problem solving? 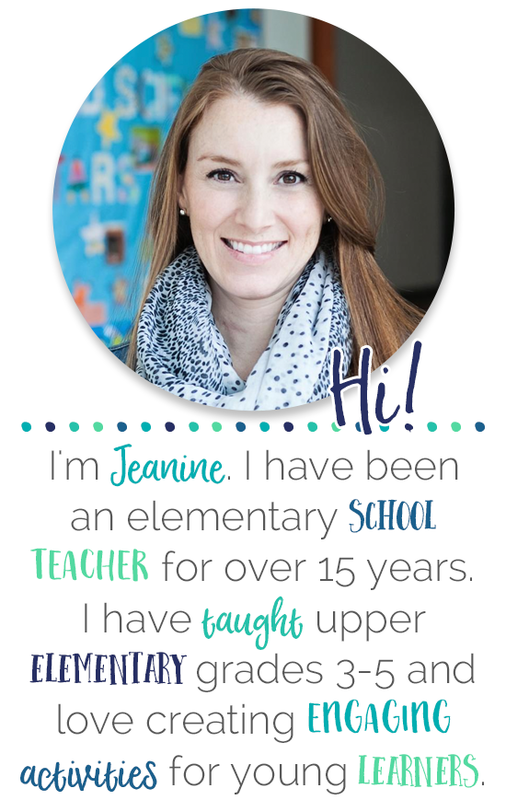 Check out these other great ideas to spark a love of learning in your upper elementary students!